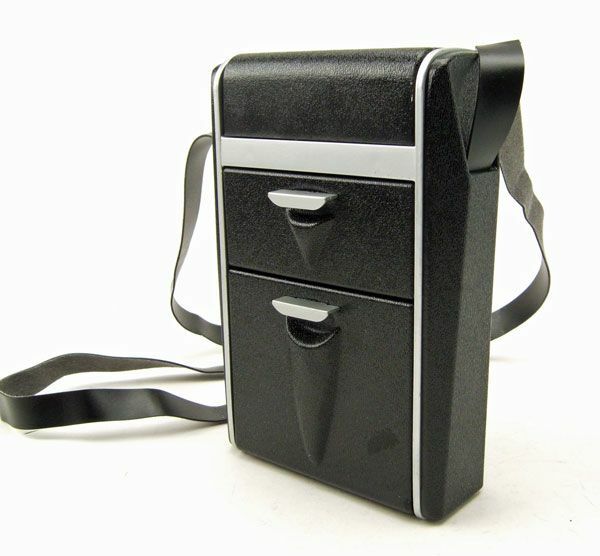 Diamond Select released the Classic Geological Tricorder as a boxed Entertainment Earth Exclusive. The Rundown: Remember that old saying "third time's a charm"? Well, we're about to see just how true that is... because today we're taking a look at DST's Geological Tricorder! 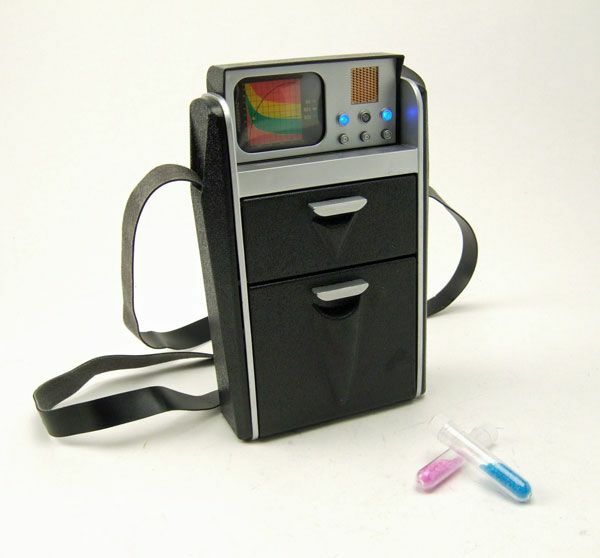 This is the third tricorder release from Diamond Select, following the Classic Medical and Classic Science versions. How's this Geological version stack up? Well, not to spoil the review too much... but pretty darn well! 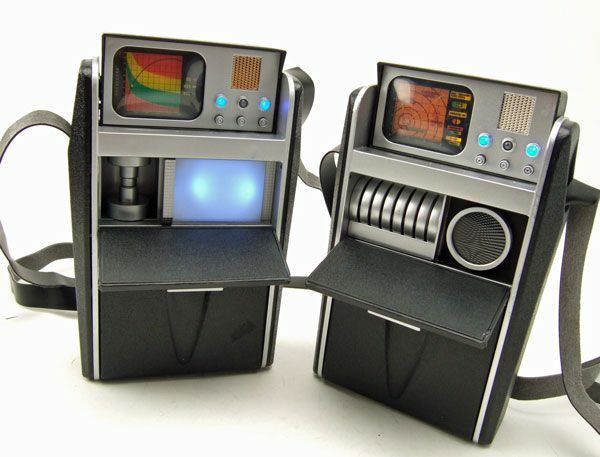 The basic body and construction is the same as the previous 2 tricorder releases. Accurately sized, with opening panels just like the screen-used props. There's a strap attached that's sufficiently long enough to fit a Trekkie of the adult variety. 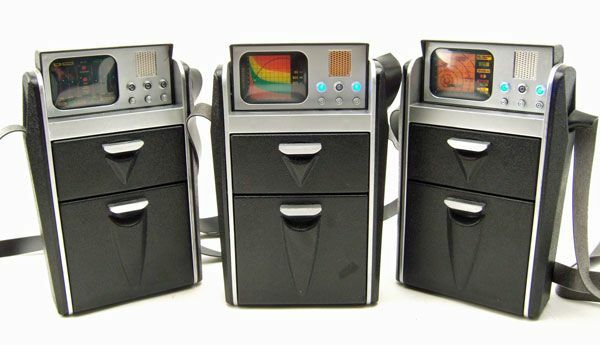 Just like the previous 2 releases, the top portion of the tricorder features a screen readout, 3 buttons, 3 lights, and a small speaker area. Each version of the tricorder has a different image displayed on the viewscreen, with this new Geological release containing my favorite of the bunch. The colors used here are bright and vibrant, causing the screen to immediately grab your attention when opened. The speaker area has also got a fresh paint job this time around, opting for a nice gold finish that helps it "pop" a bit more. Lastly, the center light on this version is now red (as opposed to the yellow light of the previous 2 releases). Moving down to the second panel, we get to see the biggest difference in this release. 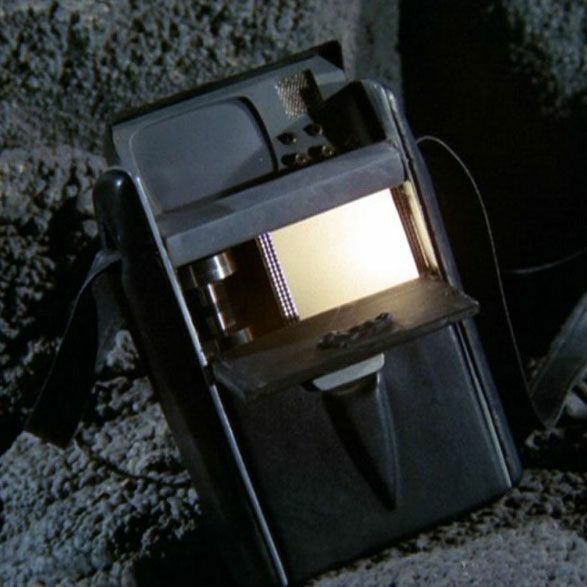 Instead of the spinning moire and "tape discs" of the first 2 versions, the geological tricorder has a large lighted area with what appears to be a small cylindrical sensor off to the side. You may be scratching your head at this point and thinking "man... 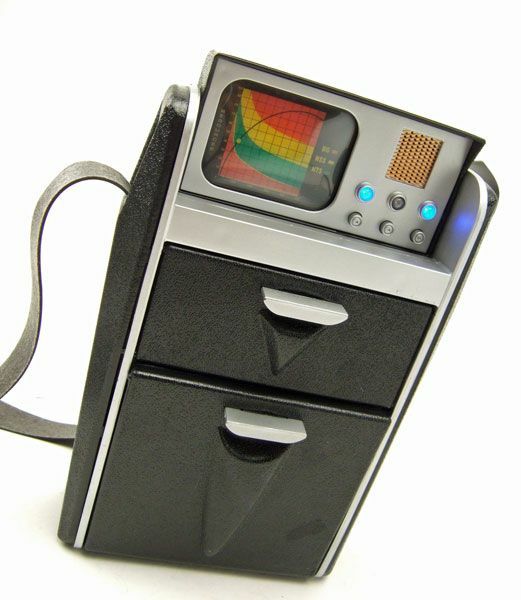 I sure don't remember a tricorder looking like that... I really wish he'd tell me what this was based on". Well, wish no more! DST did an insanely nice job of recreating the look and function of the second panel area. While the little cylinder thing was supposed to be removable with motion effects, cost-cutting caused it to be permanently affixed (grumble). Thankfully, the lighted area makes up for that drawback by being simply awesome. The lights blink in sequence with the sound features (more on this later), and the effect itself is much cooler (and quieter) in my opinion than the spinning moire of the previous 2 versions. The third panel opens to reveal the same battery compartment/ storage area of the science and medical releases. And just like the other 2, the door has a nice feature that allows it to be fully opened, or stopped midway depending on your display preference. As stated earlier, unlike the other versions this release doesn't include a removable scanning device to place in the storage area. 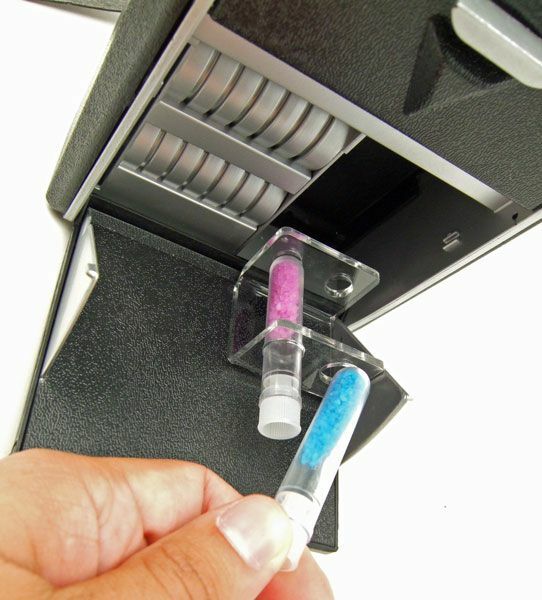 The geological release instead includes 2 small vials that can be inserted into a plastic clip attached to the door. After my disappointment in not having a clip installed for the scanners on the medical/ science versions, I was really pleased to see the inclusion of the "vial stand". 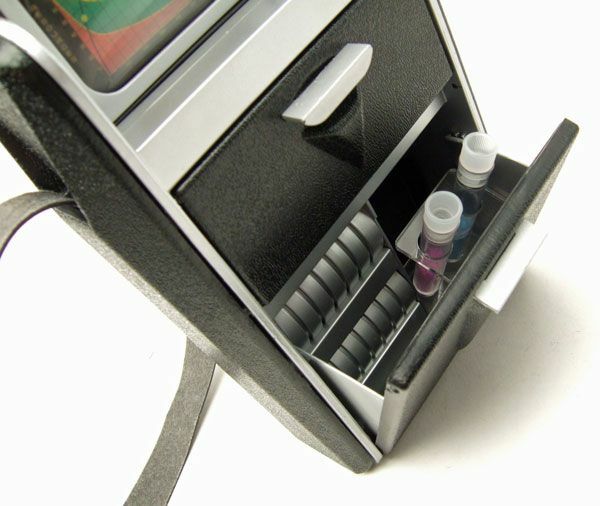 It holds the vials snugly so that they aren't rattling around inside the tricorder. So now that we've covered the basic construction differences, let's move on to what really sets this release apart: The electronic features! 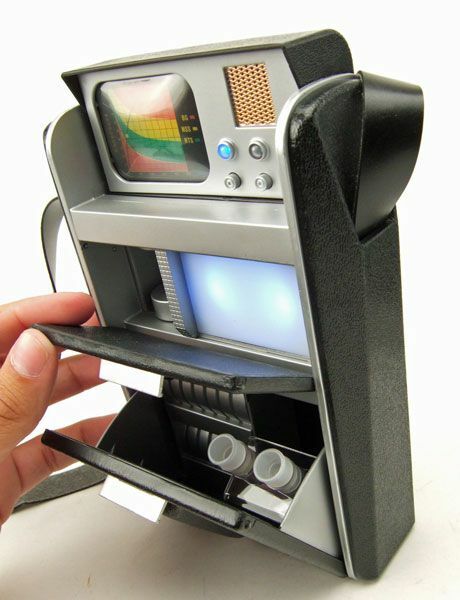 The three buttons up there activate the features- Press the button closest to the tricorder "wall" and you start the "monitoring" mode, while the middle button activates the "scanning" mode. Each of those features will continue until the same button is pressed again to deactivate it. The button closest to the viewscreen plays the "computer voice" phrases. Check it out! As opposed to the inclusion of the Spock/ McCoy voice effect on the first 2 versions, the computer voice works incredibly well here. 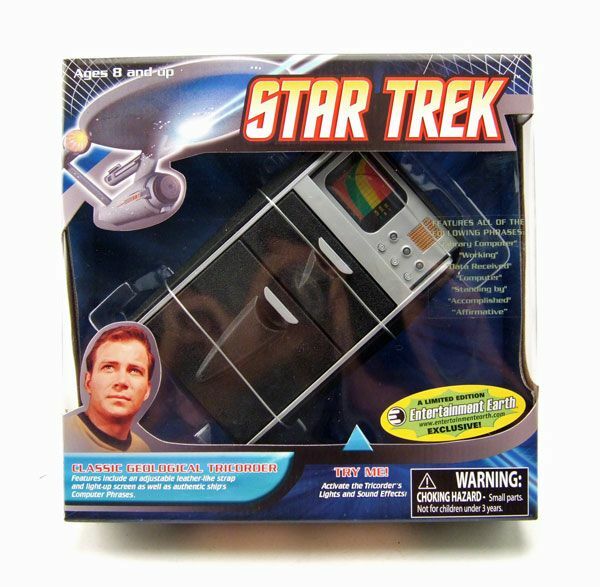 Let's face it, having your tricorder talk like McCoy, while a fun novelty, doesn't make much sense. Talking like the enterprise computer though? Yeah, I like that. A lot. Maybe it's partly that "new car smell", but this geological version is currently my fav of the three tricorders. The lighted second panel rocks, and the computer voice is ridiculously cool. 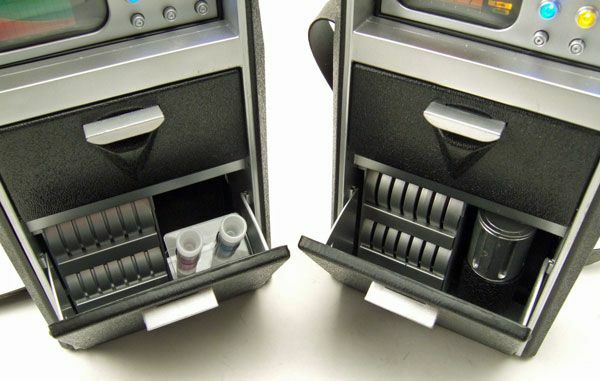 While the loss of the removable scanner is a bummer, the medical version stunk anyways and I'm glad DST put that money towards making the tricorder itself as cool as possible. Oh, and the little ore samples are a really neat touch. All around, a fantastic release. Even if you own one or both of the others, this one is definitely worth picking up for all the different features included. This guy is available now for $44.99 as an exclusive though Entertainment Earth... but that doesn't mean you have to buy it there. Rick over at New Force Comics has it as well... and he even has damaged box versions for a little cheaper at only $34.99! 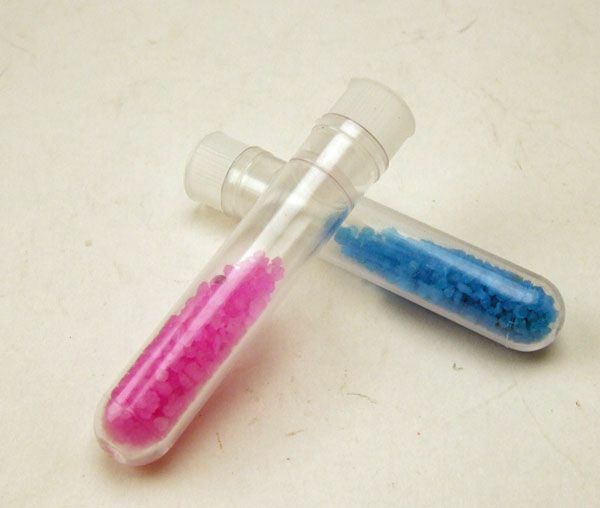 I really like that the ore samples are bright pink and blue in color. It gives it that classic Trek feel with the rather psychedelic hues. One small geeky/fanboy critique. The original series did not have "away teams", they were "landing parties". It's a common mistake. I'll still read every review on your site and of course I thank you for posting the Star Trek footage from the Sci Fi Channel airings. Ha! My bad... I knew that and I knew it didn't sound right when I read it back. I actually hated that change in TNG. I guess it was just stuck in my head while going and looking over all the DST tricorder stuff, as all the blurbs they put out refer to them as "away teams". I'll switch it out... Thanks! Hi James, I love your blog and every update. Can you elaborate on "the little cylinder thing was supposed to be removable with motion effects." What is the cylinder supposed to be in the world of Star Trek and what was the motion effect planned to be for DST's toy? 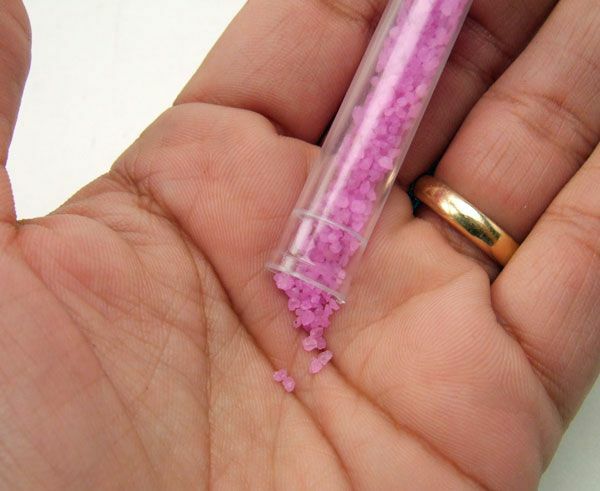 What did the ore sample taste like? Inquiring minds want to know. 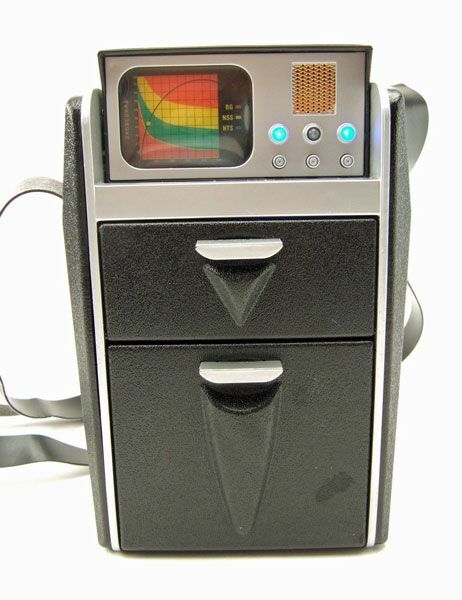 The original solicitations for the geo tricorder stated that it "includes lights, sounds, and an exclusive removable scanner with motion effects". I would assume it would have been similar to the previous 2 scanners, except much smaller and with a "whirling" feature as opposed to lights/ sounds. I will shoot DST an e-mail and see if they can maybe send over a pic or more info... but they don't reply to me like they used to, so I wouldn't hold my breath. Hi James, I got mine from Newforcecomics.com a few days ago. Love it. However, I did notice that my viewscreen lights are quite dim, whereas the new flashing white panel screen in the middle is very, very bright. 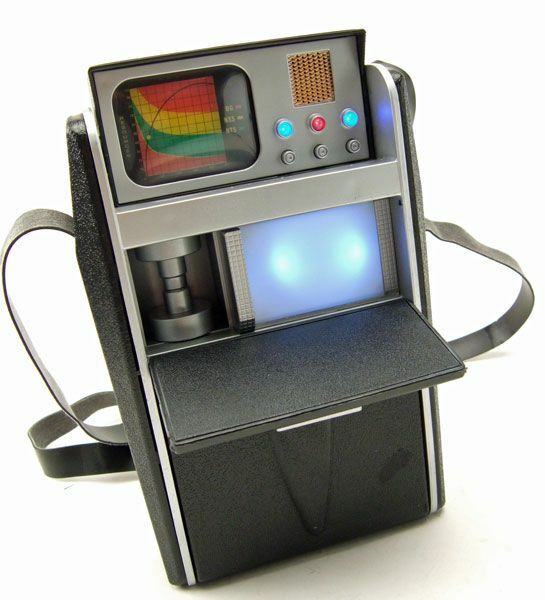 Is another specialized TOS tricorder toy possible? Besides science, med, and geo, were there other versions seen in TOS? DST's tricorders are my favorite toys of the entire line! Well, there is also the Psychotricorder from the episode "Wolf In The Fold"... but I'm not sure if it would be different enough to warrant a separate release. I like your bad boy tatoo from Mirror, Mirror.